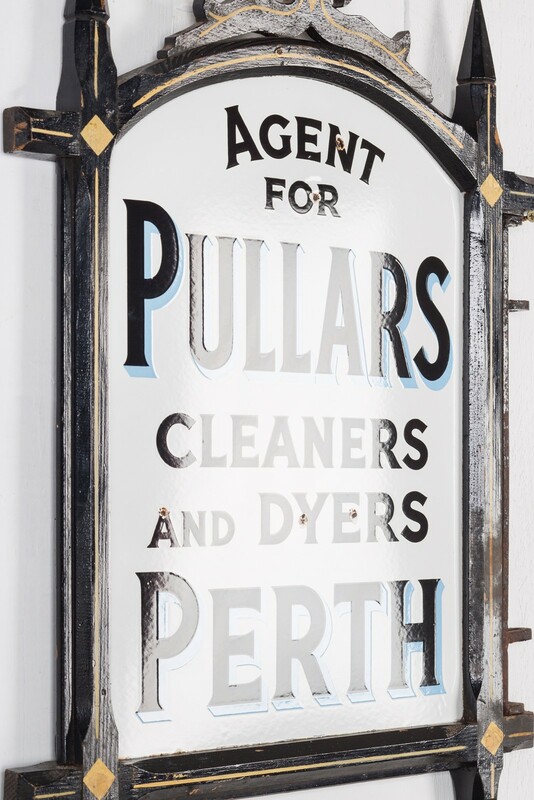 An absolutely wonderful example of it's type, this double sided enamel sign for an Agent of Pullars, Cleaners and Dyers of Perth, remains in near perfect condition and is still mounted within it's original carved wooden frame. 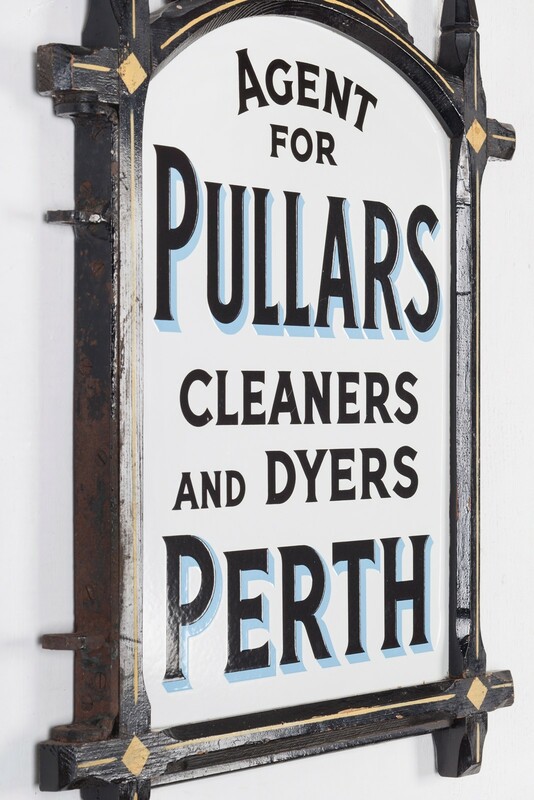 Pullars Dyers were set up by John Pullar in 1824 in Perth where he dyed cloth for his father's business (cloth manufacture). 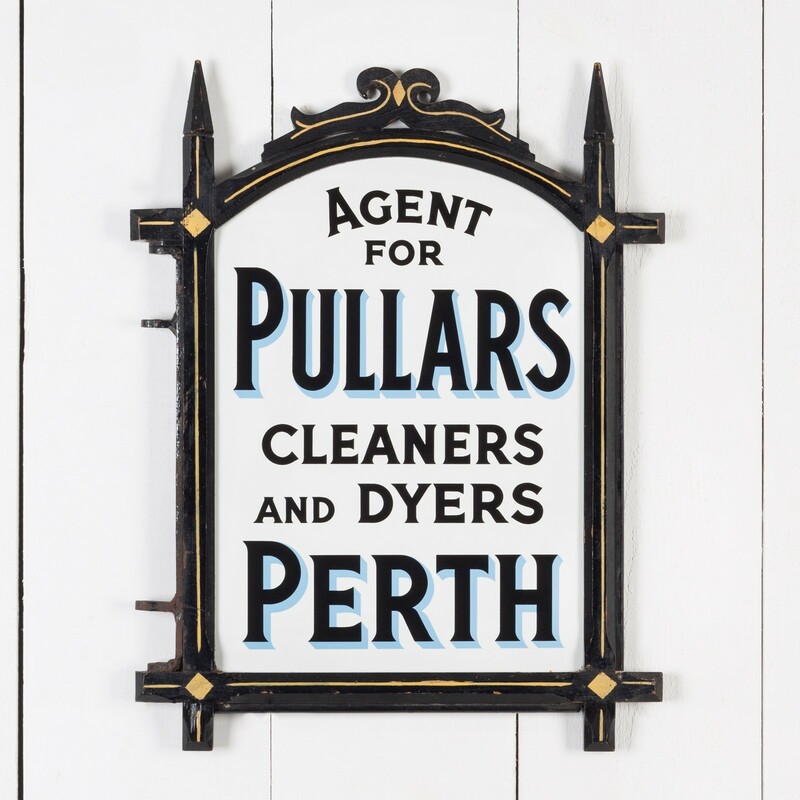 By 1856 they employed over 100 persons and had over thirty premises gathering clothes for cleaning - this sign would've hung in front of such a premises. 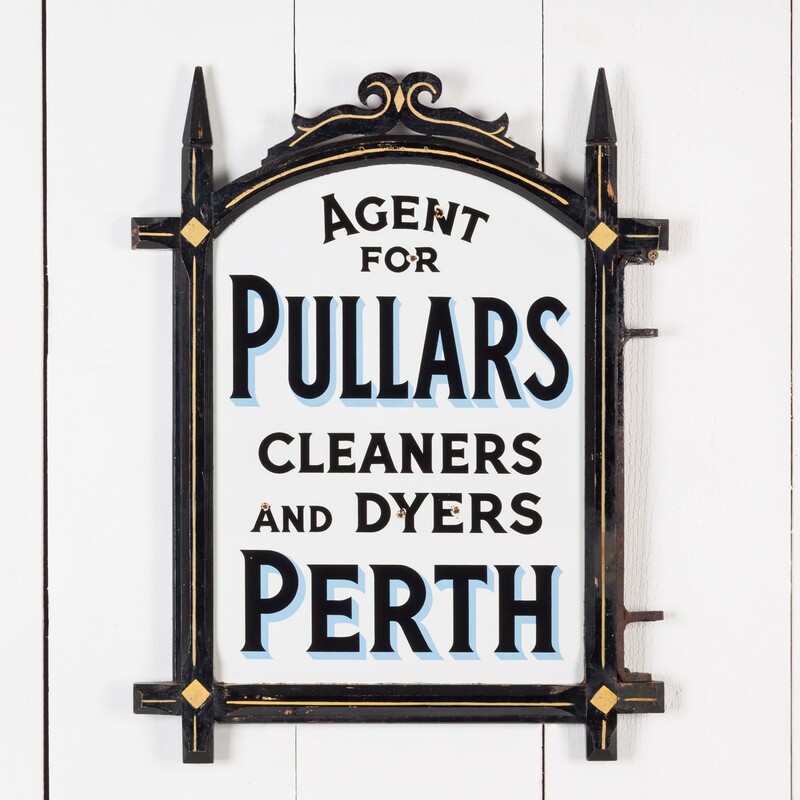 As the production of enamel signage didn't really get going until the late 1880s, this sign probably dates from the turn of the century, it employs strong, simple typography with a wonderful light blue drop shadow to the main lettering. These crisp, clean graphics are shown at they were intended with this sign remaining bright and clean with a fantastic gloss. One side is faultless, the reverse has a few minor chips to the enamel but none that affect the legibility of the piece and aside from these, the colours and gloss remain perfect on this side too - see the last photo where I've tried my best to capture the enamel's surface. The sign is mounted in it's original carved wooden frame with an iron support on one side for hanging; like the sign the frame remains in excellent condition with it's original paint and gold detailing and all it's carved elements in tact. What else is there to say? All in all, it's a beautifully preserved piece of advertising history. The sign measures 62cm high, 48cm wide and is 3.5cm deep.